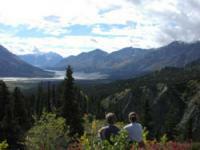 The Kluane/Wrangell-St. Elias/Glacier Bay/Tatshenshini-Alsek National Parks (‘a new, less cumbersome name’ is requested for) in the Yukon and Alaska has spectacular mountainous setting, ongoing geological processes in the over 100 glaciers and is a diverse and abundant habitat for wildlife. These parks offer combined marine, coastal, wild river and high mountain scenery with minimal extent of human modification. It has the largest protected population of grizzly bears in the world and the single largest group of Dall sheep. Comparisons can be made to New Zealand’s SW/Fiordland and Chile’s Bernardo O’Higgins/Laguna San Rafael National Parks. Glacier Bay was added to the original nomination in 1992, and Tatshenshini-Alsek Provincial Wilderness Park in 1994. Glacier Bay--pristine, vast, cold, peaceful, and amazing. The size and scale of the glaciers is astounding. I saw it on a cold, overcast May day from a cruise ship and wished I had the opportunity to see it both in (slightly) warmer weather and from the ground. Definitely worth the trip, and I'll be returning in the future. These parks are, in my opinion, quite different from each other so I don’t really understand why they are included together, except for the fact that they are beautiful nature areas in the Northwest. My visit to Kluane was just very short and I’ve only seen a tiny bit of this huge park, but it’s definitely worth the long long drive up north. It’s impossible to capture the true beauty of this immense rugged landscape with high wild mountains so you have to go see for yourself. You need at least 2 weeks to see this site properly. Pack warm! From "Tatshenshini-Alsek/Kluane National Park/Wrangell-St. Elias National Park and Reserve and Glacier Bay National Park" to "Kluane/Wrangell-St. Elias/Glacier Bay/Tatshenshini-Alsek"
Tectonic processes: Criterion (viii): These tectonically active joint properties feature continuous mountain building and contain outstanding examples of major ongoing geologic and glacial processes. Glaciers: AB review "In the ice covered central plateau arc (are) over 100 named and as many unnamed glaciers." and "?the Steele glacier surged over 8 km. during the period 1966-68. 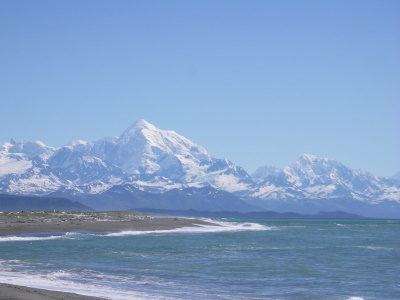 This is believed to be unique" The parks also contain the Nebesna and Hubbard Glaciers. Historic Civil Engineering Landmarks: "Going to the Sun road"